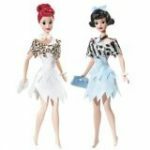 If you collect Wizard of Oz Barbies or other dolls from this classic movie, then you will want to add these to your collection! 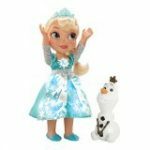 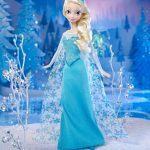 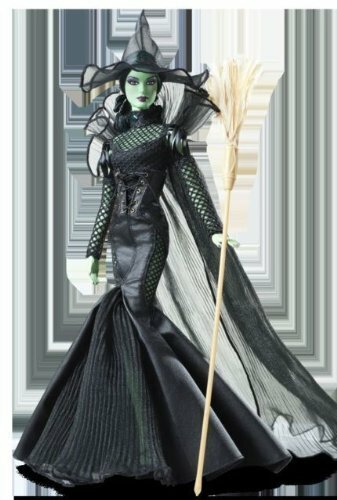 There are new Barbie Collector Wizard of Oz Dolls featured here along with vintage looking Wizard of Oz Barbie Dolls and other Wizard of Oz collectible dolls. This movie is loved by people of all ages. The characters, the excitement, the hopes and dreams, and more, will be remembered always. 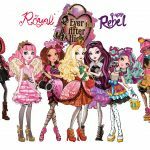 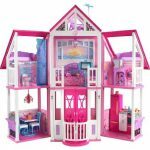 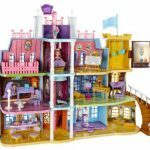 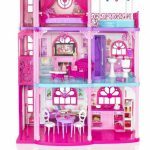 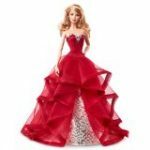 If you are a fan of The Wizard of Oz, or if you collect Barbies or other dolls, you’ve got to see this fabulous collection! 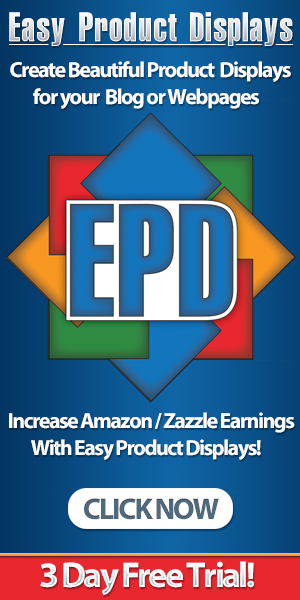 These also make great gifts for fans and collectors alike! 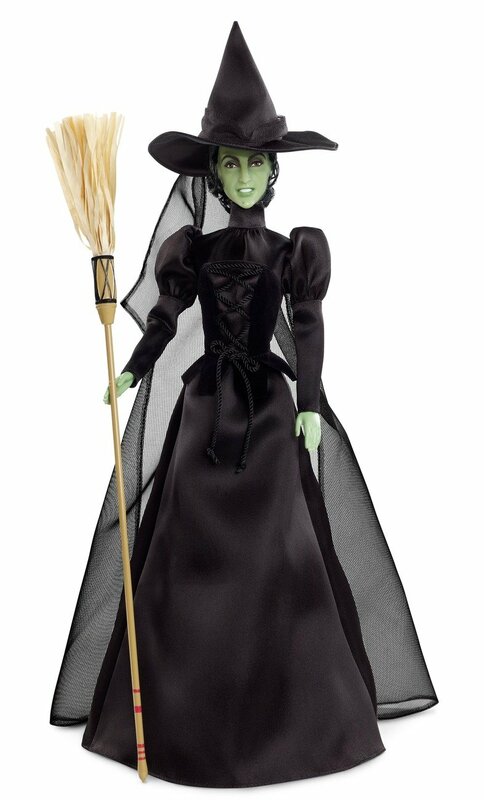 This Barbie Collector Wizard of Oz Wicked Witch of the West Doll is sculpted in vinyl in the likeness of Margaret Hamilton, the actress who portrayed the Wicked Witch. 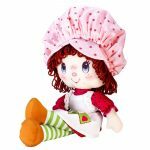 Inspired by the 75th anniversary of the classic story The Wizard of Oz, this doll celebrates one of the most iconic characters to emerge from the film. Movie fans and collectors alike will want this doll in their collection! 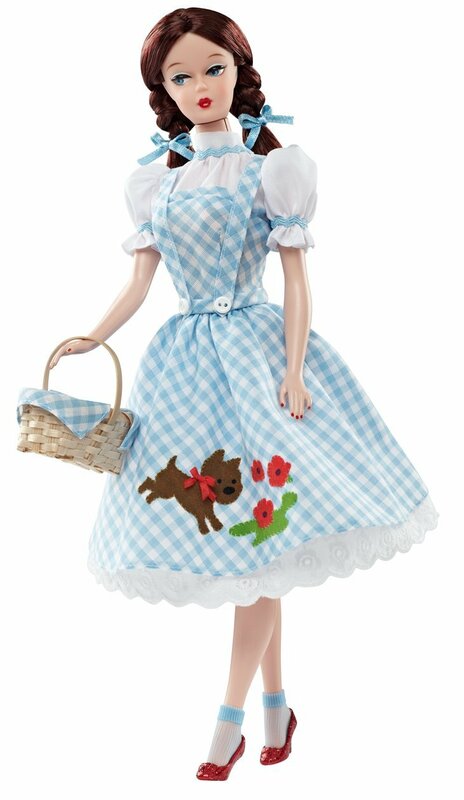 You can’t have a complete Wizard of Oz collection without the beloved character Dorothy with her cute little dog, Toto. 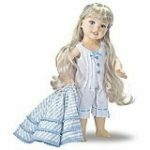 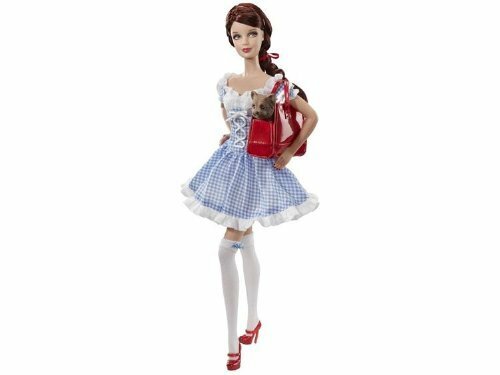 This Barbie Collector Wizard of Oz Dorothy Doll features Dorothy in her blue gingham dress and pigtails, carrying Toto in her picnic basket and wearing her red sparkly shoes. 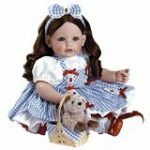 Inspired by Judy Garland as Dorothy Gale. 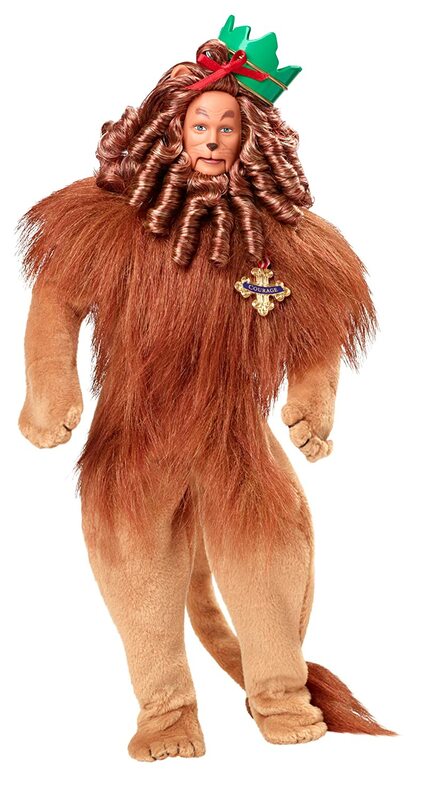 The lovable Cowardly Lion from the Wizard of Oz is realistically portrayed in this Barbie Collector Wizard of Oz Cowardly Lion Doll. 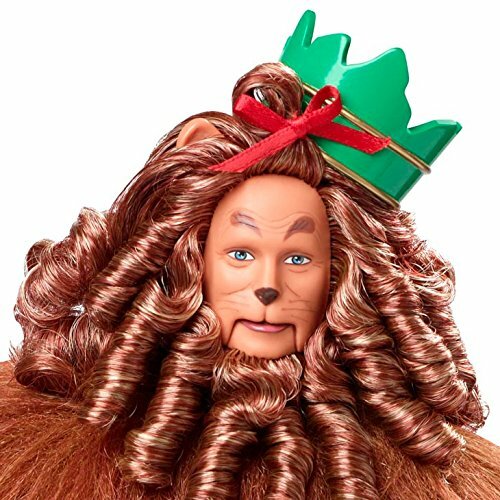 The Cowardly Lion is sculpted in the likeness of Bert Lahr and wears iconic curly brown faux fur. Adding to the authenticity, a tiny red bow sits atop his head. 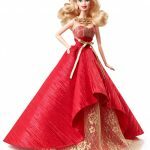 The details are amazing on this doll (and all in this collection). 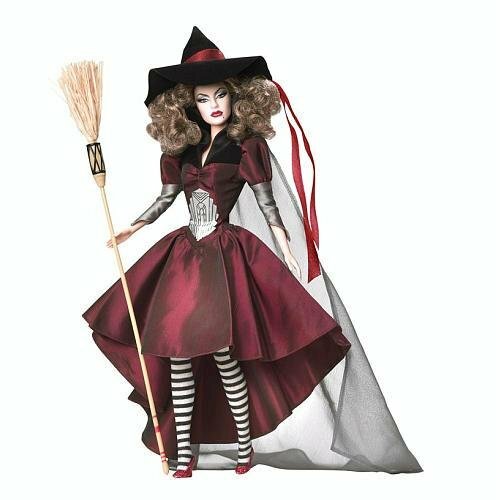 This Barbie Collector Wizard of Oz Tin Man Doll comes complete with ax in hand, a heart dangling from one hand and an oil can. 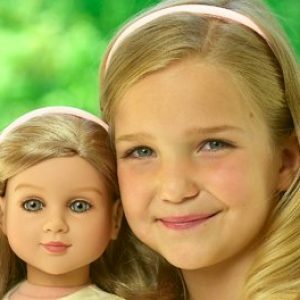 Fans young and old will love the true-to-the film details of this doll. 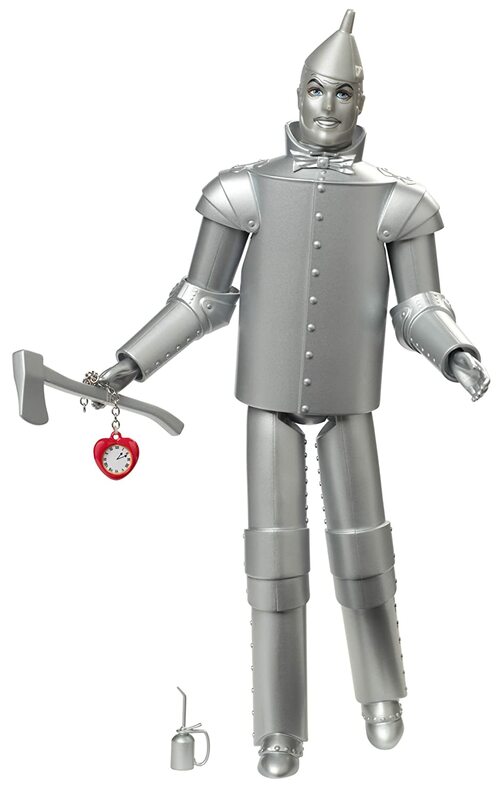 The Tin Man is sculpted in the likeness of Jack Haley and wears his iconic silver tin suit. 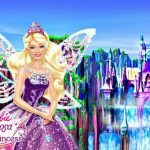 With help from Glinda the Good Witch, Dorothy follows The Yellow Brick Road to the Emerald City, all the while eluding the Wicked Witch of the West. 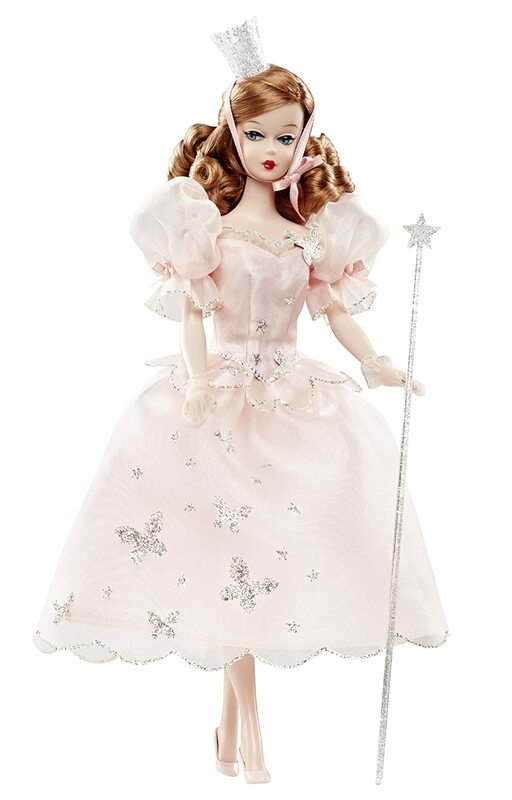 This Barbie Collector Wizard of Oz Glinda the Good Witch Doll is dressed in her pretty pink gown and holds her magic wand. 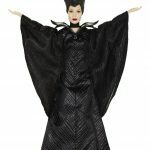 A crown sits upon her head, and she is ready to help Dorothy find her way back to Kansas. 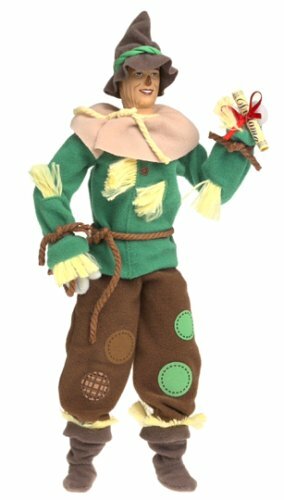 The beloved floppy scarecrow from The Wizard of Oz comes to life in this Barbie Ken as the Scarecrow in The Wizard of Oz Doll. 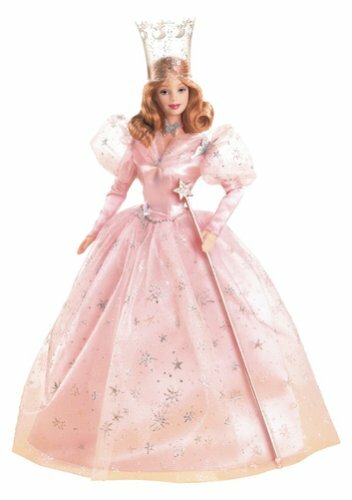 A 1999 Mattel production, this doll is detailed and waiting to be added to your collection. 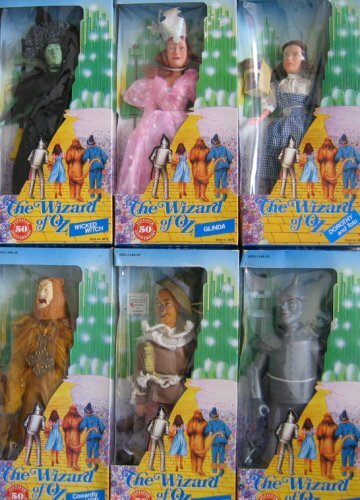 This doll set based on the movie, “The Wizard of Oz” features 6 of the most popular characters from the movie. 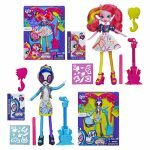 Collectors are going to want these for their collection for sure! 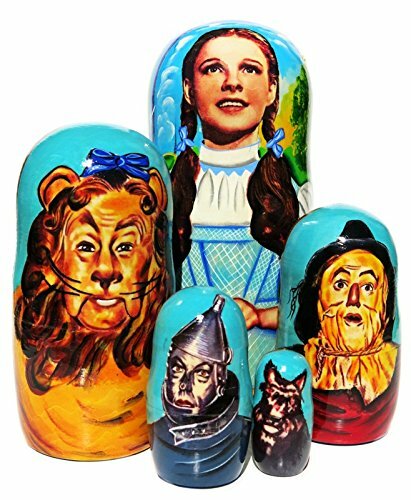 This nesting doll features the original characters of the most famous American classic The Wizard of Oz; The portrait of Dorothy played by legendary Judy Garland is painted on the main matryoshka doll of this collection. 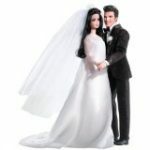 This set is a great and a memorable gift for anyone. 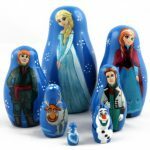 Carefully open the largest doll to reveal other pieces of this authentic and unique collection. 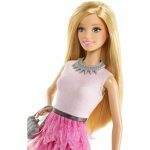 Quantities are limited. 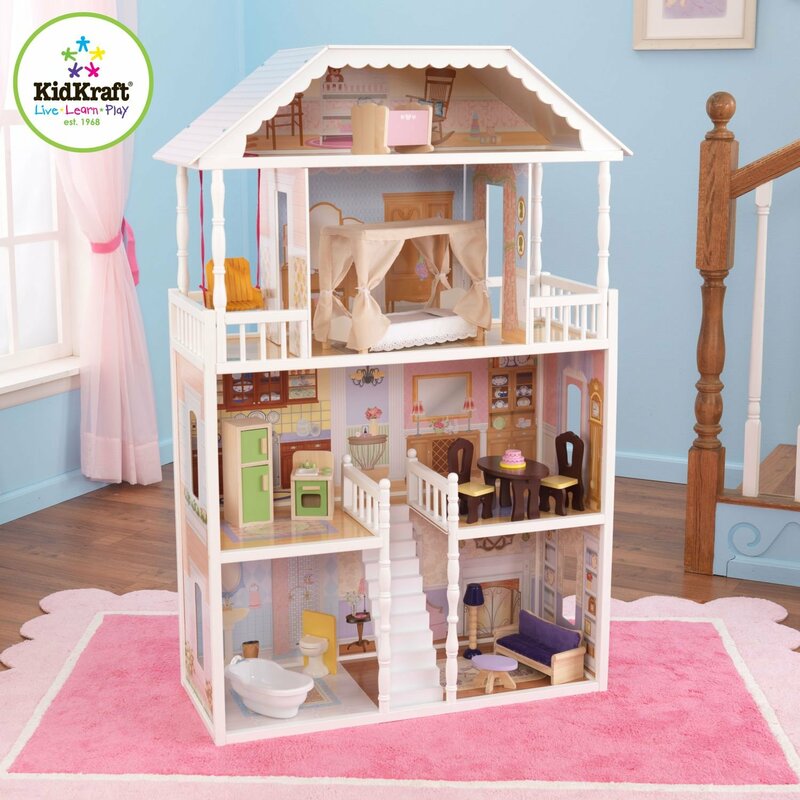 Materials: lime wood, water-based paint, lacquer. The largest doll is about 8 inches tall. 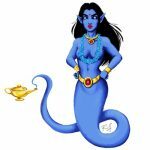 Enjoy More from This Author!